The highest hill in the Livingston area popular with local dog walkers. Arthur’s Seat and the Pentlands can be seen from the top. 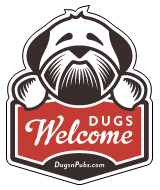 There are a total of 6 dog friendly listings in the West Lothian category. Please log in, or sign up as a member to view all listings.